For years I have heard guitars that use Nashville Tuning (also known as “high strung” guitars), but have never really given one a try. You have heard this sound before, but maybe did not know what it was called – think of “Dust in the Wind” and Pink Floyd’s “Hey You” if you need examples. The basic idea of Nashville Tuning is to make a six-string guitar sound like a 12-string. But I think it adds a little more, with elements of harpsichord, mandolin and autoharp. That sounds like the three levels of Hell, when I put it that way, doesn’t it? This is not really an alternate tuning (like drop D), as the same notes are used, but the octaves are different. 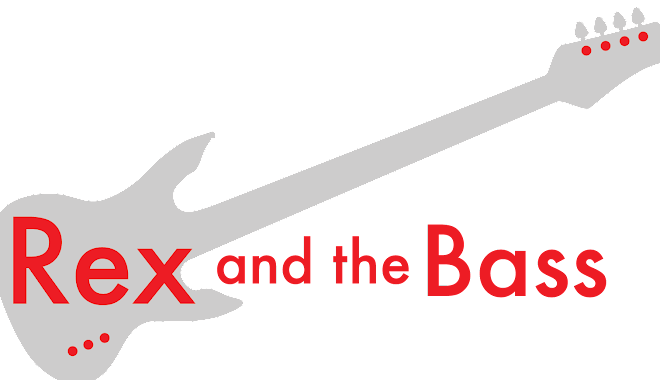 For Nashville tuning, the two high strings (B and E) are the same as normal tuning, but the lower four strings are tuned an octave higher than normal (two octaves on the low E if you are David Gilmour). I have mostly heard acoustic guitars tuned this way, though I guess you could do the same thing with an electric guitar. And, it easy enough to convert your acoustic guitar if you want to give it a try. In the old days you either had to buy a 12-string set and cannibalize it for the strings you needed, or buy the strings separately from your friendly (and patient) local music store. 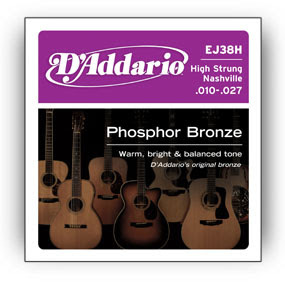 These days you can just plunk down 4 bucks for a set of D’Addario EJ38H phosphor bronze strings, which includes these gauges: .010 (high E), .014 (B), .009 (G), .012 (D), .018 (A), and .027 (low E). This is, of curse a pretty light set of strings, and if you crave something beefier, you can build your own set from single strings – try .012, .016, .010, .014, .020, and .030 (make this one a wound string, please). Install them as you would normally, and remember to tune the lower four strings an octave higher than normal. I usually involuntarily grimace as I do this and squint my eyes, as I wait for one of the strings to break. They never do. Of course there are down sides to everything, so I need to toss a couple of caveats in. Your guitar might need a new set up as the string tensions will be different. And, more importantly, if you are playing by yourself, you will notice that most of the bottom end is gone, and the sound will be less full. Nashville Tuning is best used when it is being used on a guitar that is playing along with another guitar that is using conventional tuning. That is all I have on this subject. Give it a try, and you will be pleasantly surprised. The worst that can happen is that you are out 4 bucks.